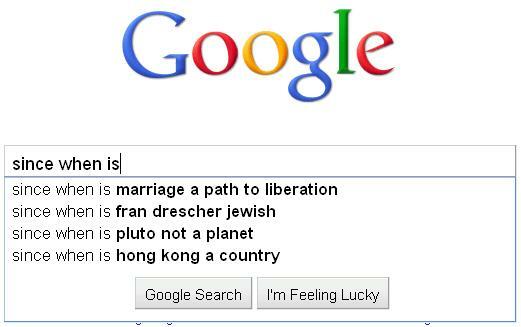 Another might be: Since when do people Google Fran Drescher? Well, it turns out Since When is Fran Drescher Jewish? is the name of a book by Chiara Francesca Ferrari, an Assistant Professor of Communication Design at California State University that looks at the cross-Atlantic cultural translations of three major American TV exports, The Simpsons, The Sopranos and, of all things, The Nanny. “Since when is Fran Drescher Jewish?” This was Chiara Francesca Ferrari’s reaction when she learned that Drescher’s character on the television sitcom The Nanny was meant to be a portrayal of a stereotypical Jewish-American princess. Ferrari had only seen the Italian version of the show, in which the protagonist was dubbed into an exotic, eccentric Italian-American nanny. Since When Is Fran Drescher Jewish? explores this “ventriloquism” as not only a textual and cultural transfer between languages but also as an industrial practice that helps the media industry foster identification among varying audiences around the globe. At the heart of this study is an in-depth exploration of three shows that moved from global to local, mapping stereotypes from both sides of the Atlantic in the process. Presented in Italy, for example, Groundskeeper Willie from The Simpsons is no longer a belligerent, alcoholic Scotsman but instead easily becomes a primitive figure from Sardinia. It’s pretty easy to take our prejudices for granted. Like the way I consistently offend my Japanese friend for a split second before he remembers that I grew up disdaining Jewish American Princesses. Or how mocking their accents really falls flat at a dinner table in Delhi. At least we can count on people thinking the French are assholes. Am I right? This entry was posted in Google Game and tagged assholes, fran drescher, Google Game, predjudice, stereotypes. Bookmark the permalink.